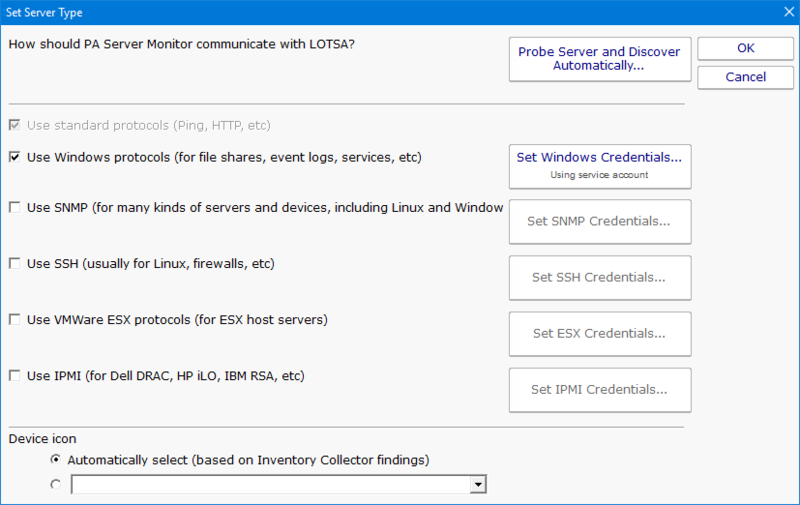 By default, PA Server Monitor will gather basic hardware and system inventory from monitored servers and devices. This inventory information is shown in the System Details box on the Server Status Report. 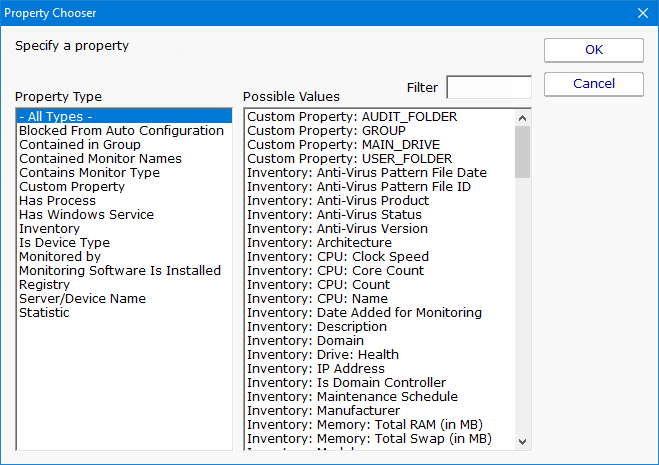 The method for gathering inventory data depends on the settings on the Set Server Type dialog which is accessible by right-clicking the server/device and going to Type & Credentials -> Set Server Type. A small executable file (PASystemDetails.exe) is copied to the target Windows computer and launched. It collects system information, reports back to PA Server Monitor, and then shuts down. The executable file is then removed from the system. PAExec is used for the remote launch. IMPORTANT: Inventory collection is done independent of monitoring. 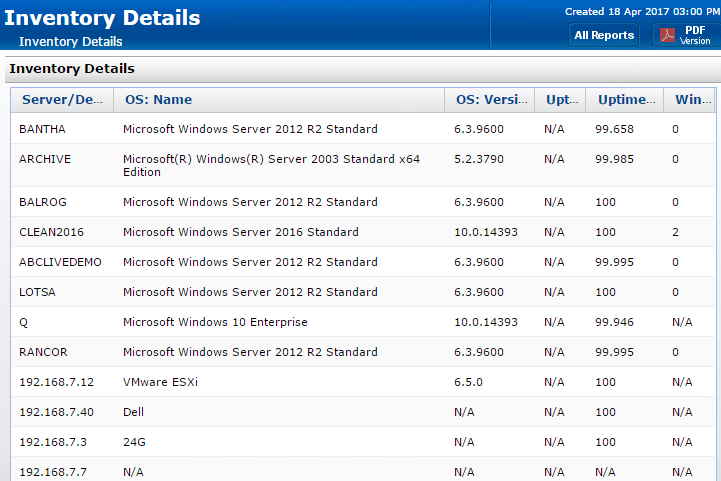 Specifically, WMI and the System Details agent are NOT used for monitoring or alerting. Along with inventory collection and display on the Server Status Report, the Inventory Details report can also display inventory data. The computers/devices to report on are selected via their inventory properties. All or just some of the selections can be met depending on your radio buttons at the top. Output columns can also be chosen from a list of gathered inventory details. Like all reports, this report can output in a sortable table, a flat HTML table, or a comma-separated text file (CSV) for import into another program like Excel.